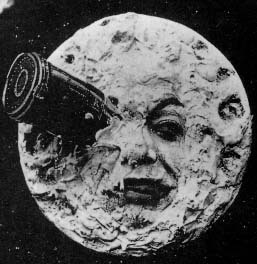 In anticipation of the upcoming full moon, 10 hours or so from now GMT, I thought a continuation of Méliès was in order. His masterwork La Voyage dans la Lune a perfect theme. It is an intensely charming film. 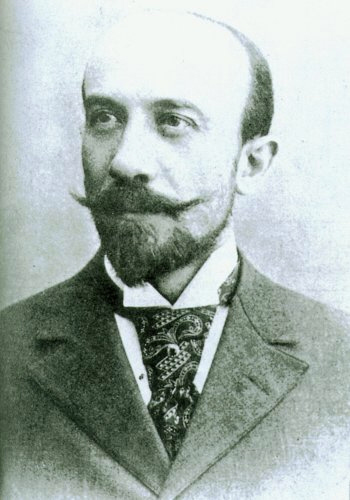 I have heard that Thomas Edison bootlegged the film, denying Méliès proper compensation. My sources are conflicted as I had also heard Edison bootlegged another Méliès film La Manoir du diable (source). 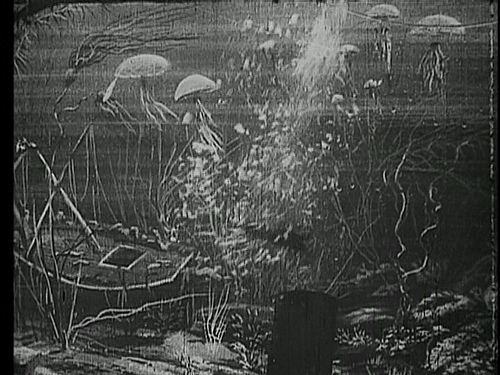 I thought it would be fun to contrast Méliès’ fanciful version of a trip to the moon to the actual drab reality. 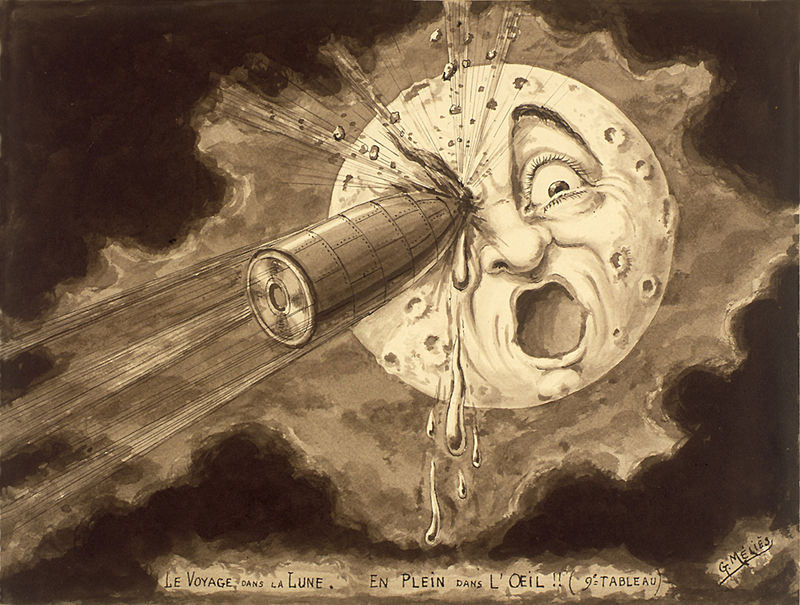 For fascinating stills such as the following of La Voyage dans la Lune I suggest you follow this link. I love this scene, the rocket ship soon to crash the aquatic calm. Like a giant aquarium. 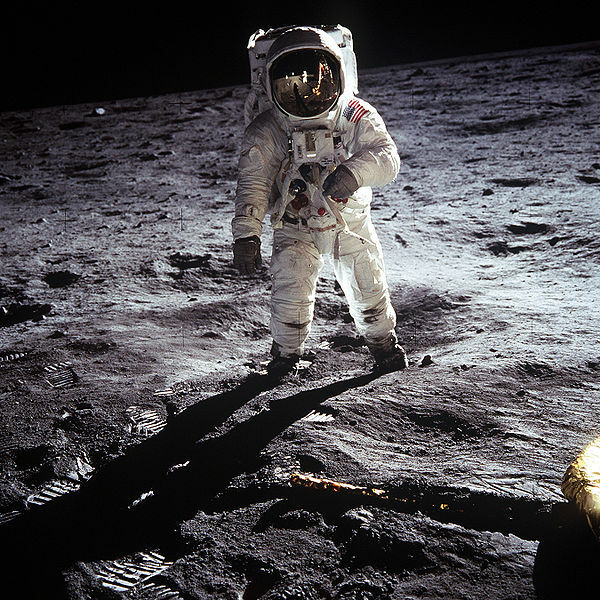 This entry was posted on October 22, 2010 at 7:56 am and is filed under 20th century, Apollo 11, Georges Melies, Silent Film. You can follow any responses to this entry through the RSS 2.0 feed. You can leave a response, or trackback from your own site. The band ‘Smashing Pumpkins’ did a homage to this film for their single “Tonight” some years ago. If you ever get the chance to see it I’m sure you will be charmed! Thanks, I will look into it. I must confess I am unfamiliar with Smashing Pumpkins, look forward to two new treasures! Unfamiliar with the Smashing Pumpkins? Oh dear! Not to worry. They were one of those bands you were into if you were arty and alternative, when such a state existed. You were probably deliriously happy when the rest of us were deliriously miserable.